Before I started CrossFit I was working out at planet fitness before work probably 3 days a week. I would typically do 30 minutes on the elliptical and some of the weight machines when I was felt like it. At the time, I worked at a hospital next to the gym which made it convenient to hop in and hop out in the mornings. I dreaded walking into the gym most mornings. I remember forgetting my ear buds and thinking there’s no way I can workout without them. The only way the time would pass is if I could watch TV when I was on the elliptical. At the time I quit my job of five years to pursue a new career and I had just had my second child. 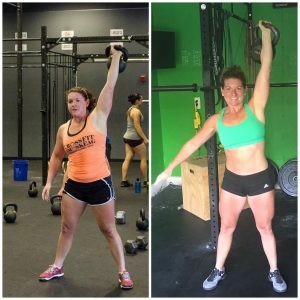 As a mother of now two small children and the pressure of performing well in my new position I was overwhelmed, tired and thought there’s no way I could do or fit Crossfit into my life at the time. What have you achieved since joining CrossFit Amoskeag? Wow, where do I begin. I’m a better version of myself… A better mother, wife, daughter, sister, employee. We wear so many different hats, the list could go on but really I am a better version of myself. Not only am I stronger physically but also mentally. I’ve been doing Crossfit for four years and I keep learning things about my body I never thought was possible. The first few years I gained a ton of strength and more recently have been focusing on moving my own body weight more effectively. Combining these two components and closely monitoring my nutrition I recently lost 20 lbs. and I’ve never felt better! Everyday I incorporate Crossfit into my schedule, not because I have to but because it’s what makes me the strong, successful and happy person I am today. At Crossfit Amoskeag I’ve met so many amazing people from all walks of life who are constantly changing my perspective on what Crossfit truly is. Yes, it’s a form of workout but Crossfit is very multidimensional and it can mean different things to and be altered for different people. Personally I’m constantly thinking about my strengths, weaknesses, and opportunities…ultimately how I can be better. 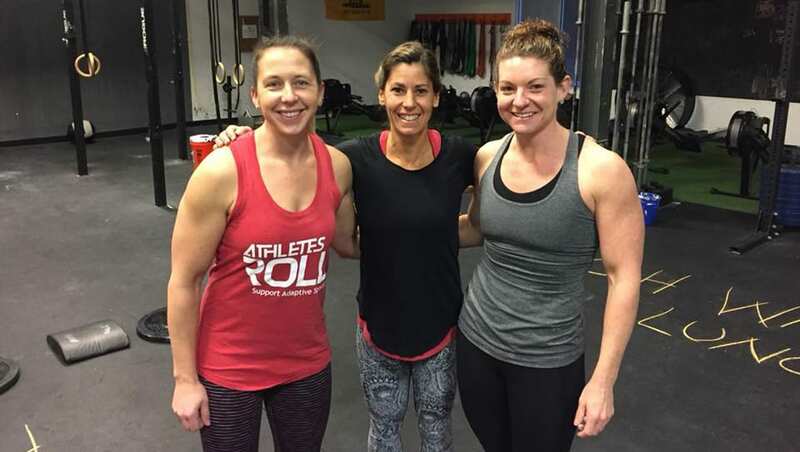 Crossfit gives me the foundation I need to work on all these things inside and out of the gym… and that’s why joining CrossFit Amoskeag is the best choice I ever made?? Want to succeed like Jen? Drop your info in the form below and we’ll be in touch. You’ll even get two weeks of classes free.